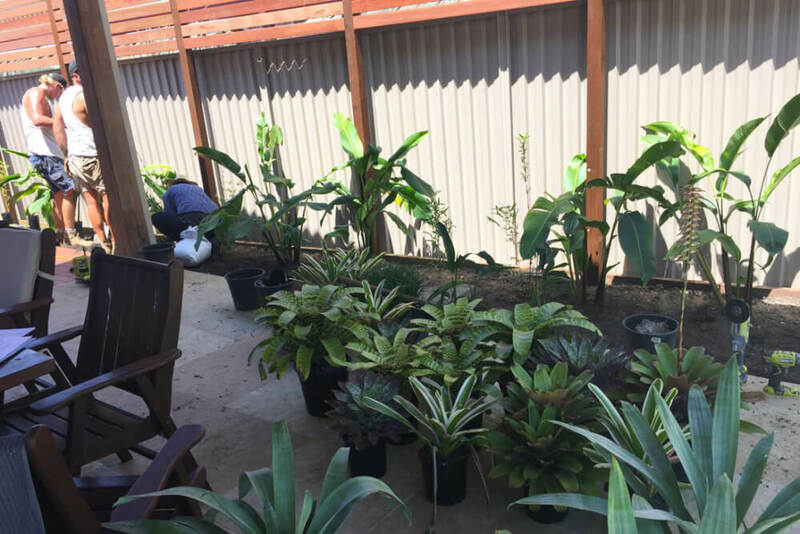 A lush tropical garden theme with a Zen twist is the new backdrop for the Alfresco area at the Parkwood Landscaping project. Planted up with Bamboo, Heliconia’s, Vriesias and grasses and brought to life with warm timber accents. 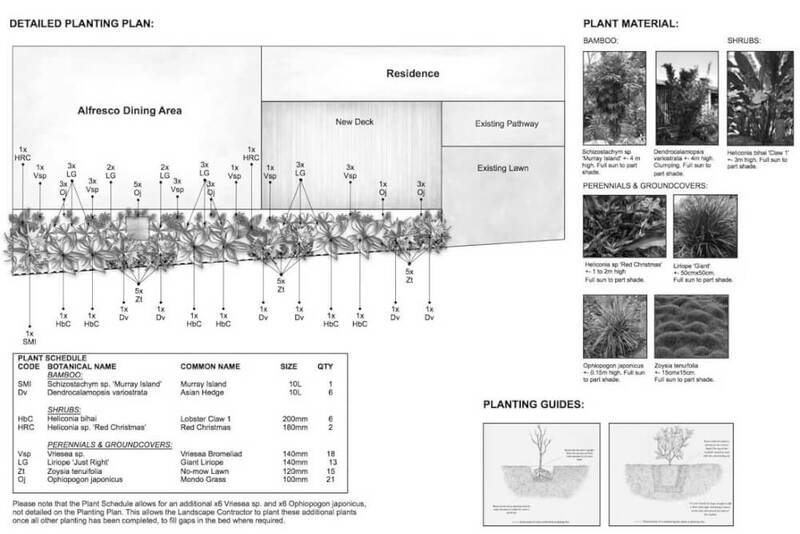 Our clients wanted to achieve a WOW Tropical-Zen garden at this Parkwood Landscaping project. This was achieved by a lush, leafy feel in their alfresco dining area as well as screen and soften the view into their neighbours home. The long narrow garden space adjoining the alfresco was only 10 meters long by 1 meter wide. 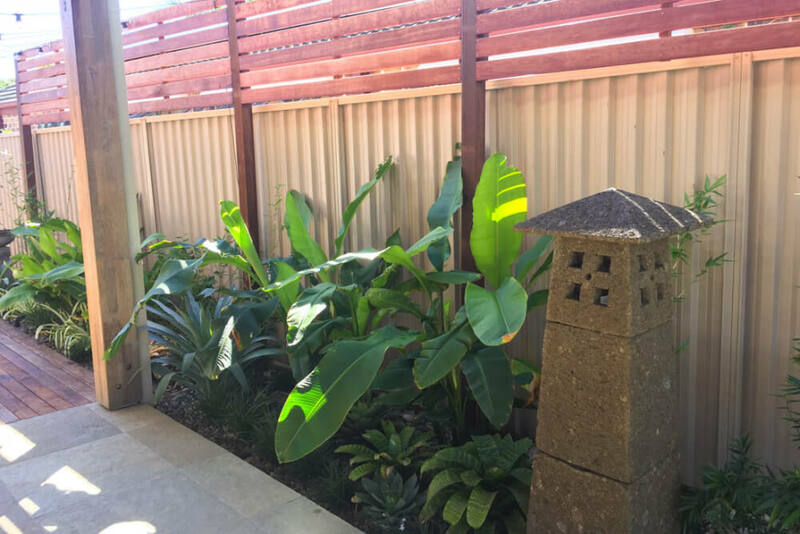 A tower stone lantern sourced by the clients became the centrepiece and was centrally positioned amongst the layered subtropical plants. 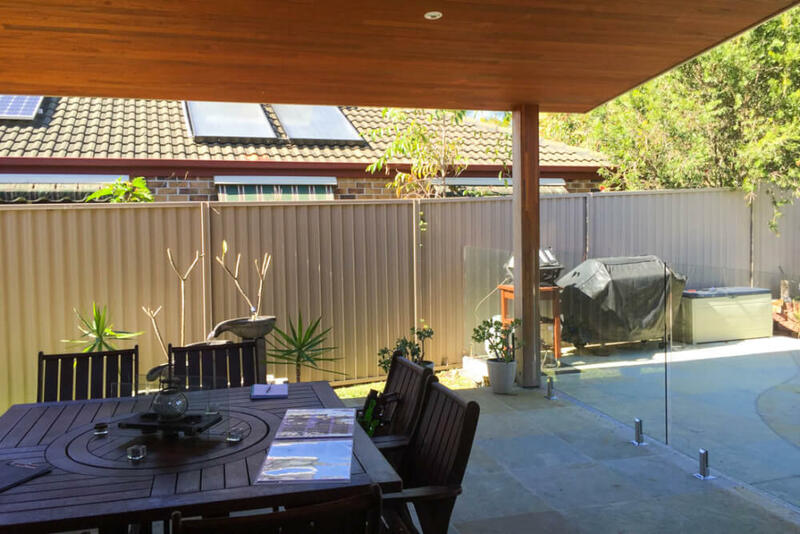 A 600mm high timber batten screen was installed to extend the height of colorbond fence and provide additional screening. 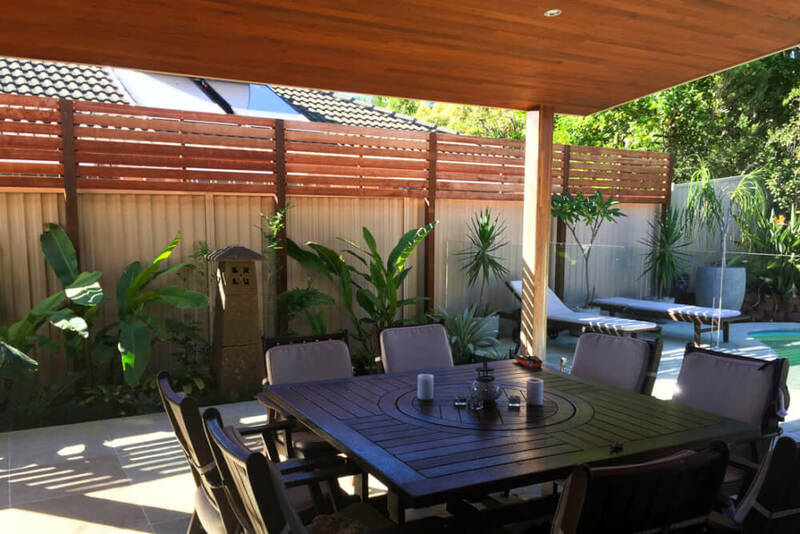 A new timber deck adjoining the alfresco was built to provide additional space for entertaining and the Tropical-Zen garden continues to weave its way down past the deck and screen the fence.